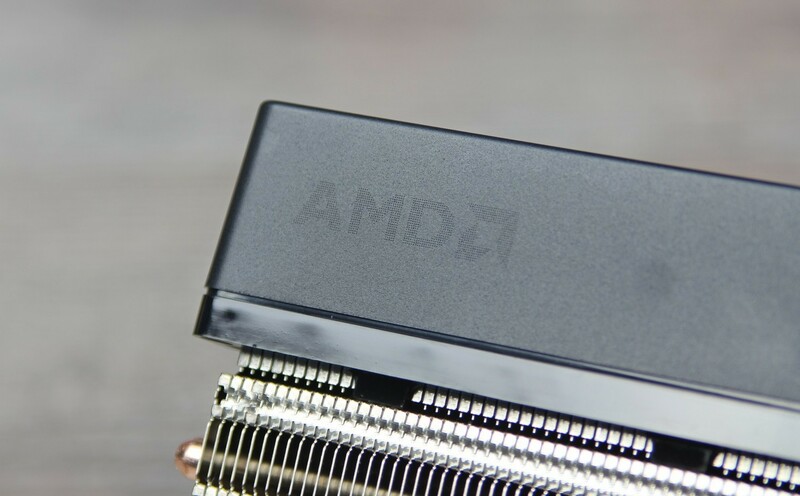 Along with the recent expansion of the model range of processors for Socket FM2 +, AMD company proposed new staff cooling systems for the chips of different platforms. 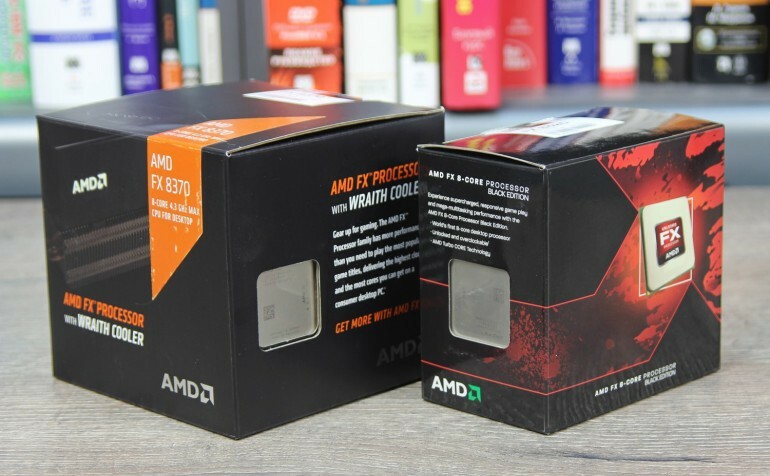 The most efficient cooler AMD Wraith will be offered together with the AMD FX-8370. Let’s see, what can be expected from the boxed cooler now. 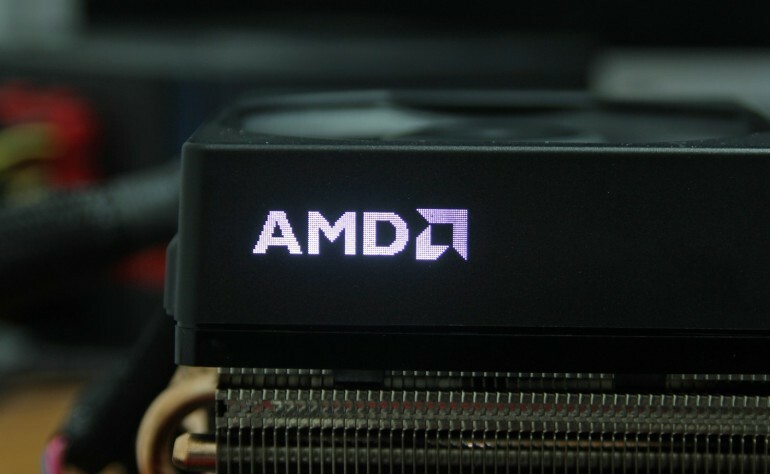 Processors of AMD FX series do not stand in need of the additional performance. 8-core FX-8370 model with computing units Piledriver nominally is an older version of the family. The chip works with the frequency formula 4.0 / 4.3 GHz, the total amount of cache-memory is 16 MB, and TDP is declared at the level of 125 watts. FX-8370 processor was introduced in autumn of 2014, so in idea of productivity renovation of modification brings nothing new. You can distinguish the FX-8370 version with the standard cooler and AMD Wraith through designation of the batch. Classic boxed version – FD8370FRHKBOX, and modification with improved cooling – FD8370FRHKHBX. Visually distinguish the packaging exactly will have no difficulty. 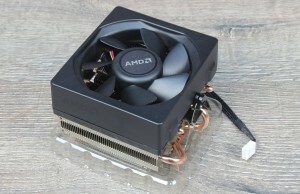 A box with a processor which is equipped with a cooler Wraith significantly larger in size. Pasteboard cube with 130х135х125 mm dimensions reserve a volume about twice as much than the box version with the staff cooler. 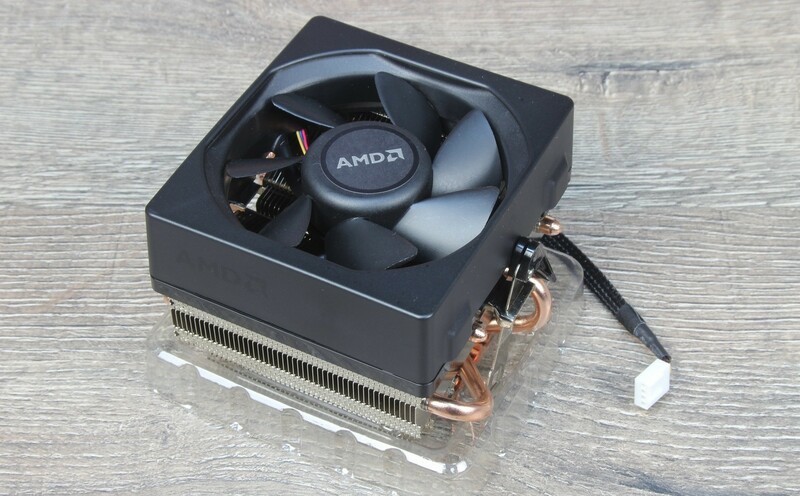 By offering a new version of the FX-8370 with the original cooler, AMD has set for her former recommended price tag – $ 200, while the cost of modifications of the standard cooler has dropped to $ 190. If, in practice, the difference in value will correspond to the declared, then overpaying additional $ 10 is deserved. According to the manufacturer’s statement, the area of Wraith radiator’s scattering is increased by 24%. Block with the plates really became much larger. It increased the amount of aluminum petals and their dimensions. The structure uses four thermally conductive tubes with a diameter of 6 mm, which are in contact with the copperplate radiator. There is a brazing to improve the contact between these elements. The processing result of cooler’s surface is good, but not ideal. There are traces of polishing on this surface. However, the unevenness compensates for thermal conductive paste, which was originally covered in the area of connection cooler’s contact with processor’s lid. While the 70 mm propeller is set the basic model, the 85 mm ventilator is used for blowing of the radiator’s structure. The strength of the air flotation increased to 34% – from 41,6 till 55,8 CFM. The logotype of manufacture is made up of very small holes and it is barely noticed on the ventilator’s decorative part. During the work the abbreviation is spectacularly illuminated by white light emitting diodes inside. Light that breaks through the grating is noticeably muted during changing the viewing angle; it adds originality of this indicator. Externally AMD Wraith looks much more solid for base coolant. It is heavier and has a larger diameter ventilator. Even at first glance, there is no doubt that it will be more effective than the staff cooler, the only question is by how much. Mounting of the cooler is very simple and convenient. In general, they are not fundamentally distinction for the previous cooler’s generation, and it is a plus. All you need to do for installing the cooler, is fixing throw a metal plate on the plastic plunger pin of the socket, and then by one movement to tighten the mounting cammed mechanism. Despite the increased size, some special problems with installation should not occur. The only thing that is worth paying attention to is the cooling of memory modules. Too overall radiator units for the cleets in this case is not recommended, however, much depends on the specific layout of the motherboard and, in particular, the distance from the processor’s socket to the next DIMM slot. 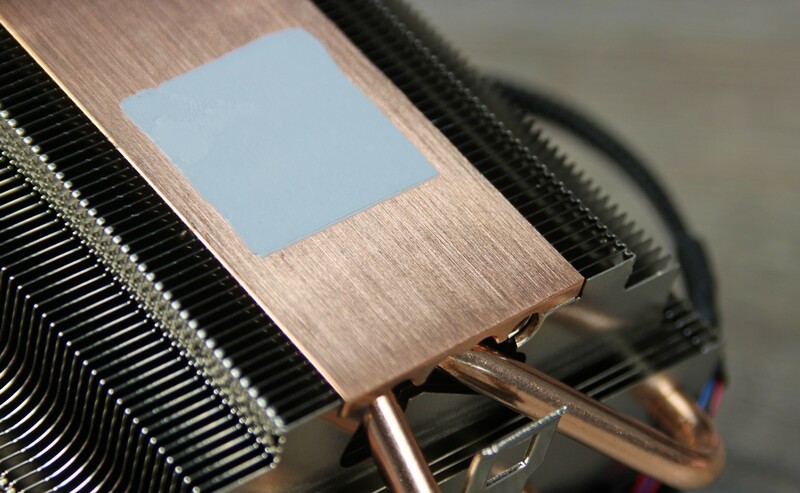 On the open stand in idle mode AMD Wraith cooler cools the processor FX-8370 to 30 degrees. The rate of rotation in this case is about 1400 rev / min. 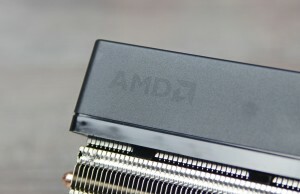 AMD Wraith is distinctively more effective than of standard cooling system for AMD FX series chips. 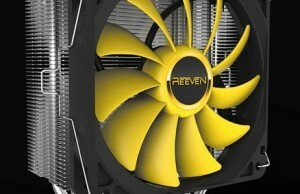 This device can not compete with other top air super-coolers. 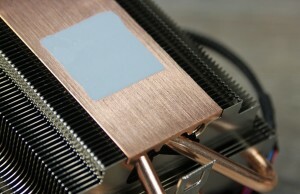 But it is easily for this device to provide excellent cooling for chips with a TDP 125 watts. It copes this task with an acceptable noise level. Moreover, the cooler is suitable even for moderate acceleration 8-core processor. 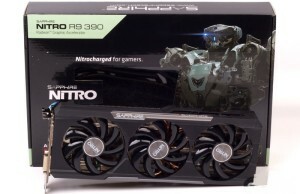 Unfortunately, this cooler is available only with the chip FX-8370, while the version with AMD Wraith is worth more expensive than the usual boxed variant. However, a new cooling system creates only good impression. This is the correct boxed cooler, which copes better with heat rejection and makes it significantly quieter than its predecessor. 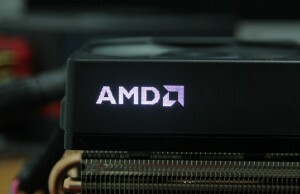 We hope that over time, AMD Wraith will get not only the top model of the family FX-8xxx.